There are basically two major categories when it comes to investment styles. The first is investing for capital appreciation. An example of this is buying stocks or other assets hoping to profit from an increase in the asset’s price. The second investing style is investing for cash flow. One of the most popular ways to invest for cash flow is investing in dividend stocks. Dividend stocks allow you to receive payments from your stocks at regular intervals. This can be compared to receiving rental payments from a real estate property that you are renting out. The main difference is that you don’t have to worry about all the work related to keeping your property in good condition. In this article, you will learn everything you need to know about how dividend stocks work and how to properly invest in dividend stocks. Before we get into how dividend stocks work, it is important to understand what dividends even are and why they exist. When a company goes public, it receives money from investors in exchange for ownership in the company. These investors are also referred to as stakeholders. Re-invest the profit back into the company/keep it in form of retained earnings. Pay the surplus out to its stakeholders. The second option is also known as paying dividends. This means dividends are basically nothing else than a distribution of a company’s profit to its shareholders. As a company can make the choice to pay or not to pay dividends, not all companies pay out dividends. In fact, out of the about 500 large-cap companies in the S&P 500 index, ca. 93 did not pay out any dividends in 2018. The following video lesson covers everything you need to know about dividends and investing in dividend stocks. The Announcement/Declaration Date: This is the date on which the company announces that it will pay out dividends. During the time leading up to the ex-dividend date, the stock price tends to increase by about the amount of the dividend as investors are willing to pay a premium to receive the dividends. The Ex-Dividend Date: If you want to receive dividends, you have to own shares of the stock before the ex-dividend date. You will not receive any dividends if you buy the stock on or after the ex-dividend date. Furthermore, the stock price will drop by about the amount of the dividend on this date. The Record Date: If you sell your shares of the stock before the record date, you will not receive any dividends. This means you have to own shares of the stock during the time between the ex-dividend and record date to receive dividends. The Payment Date: This is the date on which the company actually pays out its dividends. As long as you owned shares of the stock before the ex-dividend date and until the record date, you will receive dividends even if you don’t own any shares on the payment date. If you want to download this infographic, you can do so by clicking here. As you can see, it is not possible to buy a stock just before the dividends are paid out and then sell it right after it. You have to be a shareholder for a certain amount of time to be eligible for dividends. The length of this time frame usually is a few days. After a company pays out dividends, it is theoretically worth less than before because it hands over cash (for cash dividends) to its shareholders. This is also one reason why the stock’s price drops on the ex-dividend date. Furthermore, if the stock’s price would not be adjusted downward on the ex-dividend date, it would allow for arbitrage opportunities. This is the case because an investor could buy the stock right before the ex-dividend date, sell it right after the record date and receive the dividend. Simultaneously, the investor could hedge his long position so that he is (more or less) immune to price fluctuation. This would lead to a profit of the size of the dividend received. If, however, the stock price drops by the amount of the dividend on the ex-dividend date, the investor would have a loss in the stock position of the size of the dividend which would offset the profit from the dividend received. If you frequently short sell stocks, it is important to understand that if you are short a stock on the record date, you will have to pay the dividend! Therefore, make sure to check any upcoming dividends before shorting a stock. Cash dividends are by far the most common type of dividend. Furthermore, they are the most straightforward. When a company pays cash dividends it simply distributes its profits to its shareholders in form of cash. The amount is usually expressed on a per share basis. For instance, a company could declare a dividend of the size $0.5/share. 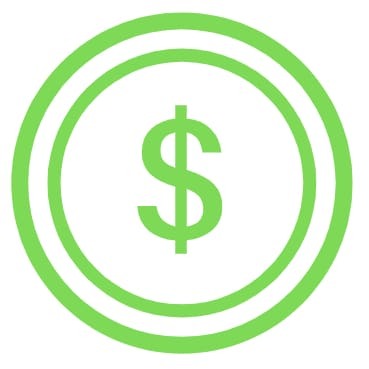 This would mean that for each share that you own in this company, you will receive $0.5. 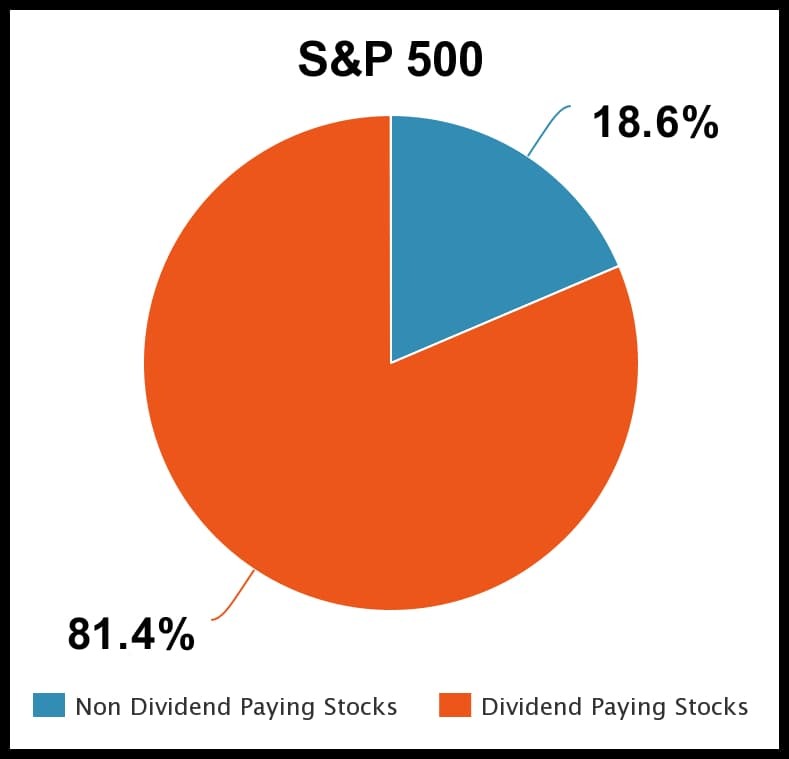 Stock dividends are nearly as common as cash dividends. Nevertheless, they aren’t as rare as other dividend types. When a company declares stock dividends, it issues new shares of stock and distributes these to the current shareholders. For example, if a company declares a 1% stock dividend, you will receive one additional share for every 100 shares that you already own. The problem with stock dividends is that they lead to dilution which means that even though you receive additional shares of the stock, your total position value won’t increase as the stock price should drop. In this sense, stock dividends are essentially miniature stock splits. Stock dividends are usually used when a company either doesn’t have cash available or doesn’t want to distribute its current cash to its investors (likely due to liquidity reasons). Besides cash and stock dividends, other dividend types do exist as wel. I won’t cover them though because it is very rare that a company declares any other type of dividend than one of the just-mentioned ones. How often are Dividends paid out? The frequency of dividend payments depends on the company and its profitability. In theory, a company could pay out dividends monthly, quarterly, semiannually, annually or even less frequently. The most common frequency is quarterly as companies tend to pay out dividends shortly after their earnings announcements. Typically, companies don’t vary their dividend payment frequency a lot. Many companies have more than one type of share class. The ‘normal’, most actively traded shares are referred to as common stock. But some companies also have ‘special’ (usually less liquid) shares that are also known as preference shares. Note that not all companies offer preferred stock and out of those that do, not all preference shares are traded as openly and actively as common stock. Even though it might not be the best thing for a company to do, a company can still pay cash dividends even if it has not managed to generate a profit. In this case, the cash paid out does obviously, not come from the company’s current quarters profits. Instead, the company can pay its dividends through its retained earnings. ‘Retained earnings’ is an equity account in which a company puts the profits that have not been paid out as dividends. So even if a company is not profitable in the current quarter, it likely has profit reserves from the past quarters. These can be used to pay out cash dividends for the current quarter. If, however, a company does not have sufficient profit reserves available, it will not pay out any cash dividends. As the stock price is adjusted as a part of the dividend process, options prices are also affected. Due to the downward adjustment on the ex-dividend date, call options tend to become cheaper and put options more expensive on the days leading up to the ex-dividend date. Furthermore, the assignment risk for short option positions right before an ex-dividend date increases dramatically (especially for short calls). This is the case because many options traders exercise their options right before the ex-dividend date so that they will receive the dividend. Due to the just-mentioned reasons, it is important to pay special attention to dividends when trading options. Note that, if you own options on a stock that pays out dividends, you will not receive the dividends unless you have a long stock position. Make sure to check out my free options trading education to learn more about options. In my opinion, examples are one of the best ways to learn how dividend stocks work. 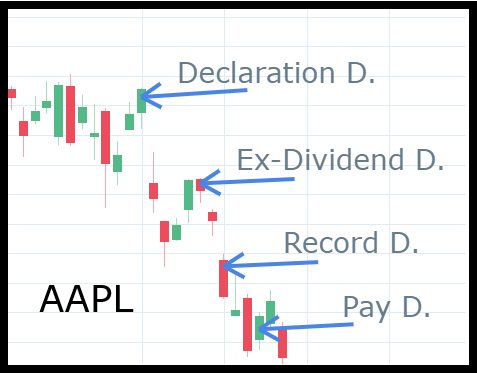 That’s why I will now present the entire process from the declaration of dividends to the payout of the dividends based on Apple Inc’s (AAPL) last dividends of 2018. As visible all the way to the left, the dividend type is a cash dividend which means that Apple Inc will distribute its profits to its stakeholders in form of cash. The amount of cash is $0.73/share. Apple Inc declared this dividend on 11/1/2018. The ex-dividend date was 11/8/2018. On this date, Apple Inc’s stock price was adjusted downward by $0.73, the size of the dividend. Furthermore, you had to buy shares of AAPL before this date to receive the $0.73/share in dividends. In addition to that, you had to hold your long AAPL position at least until the record date which was 11/12/2018, four days after the ex-dividend date. Finally, the $0.73/share dividends were paid out on 11/15/2018. As clearly visible on the following AAPL price chart, dividends did not seem to have any significant impact on AAPL’s price. Just like most of the other large-cap stocks, AAPL’s price declined drastically in November of 2018. To recap, for every 100 shares of AAPL that you owned before 11/8/2018 (Ex-Date) and held until at least 11/12/2018 (Record Date), you will receive $73 on 11/15/2018 (Pay Date). Which stocks to buy for dividends highly depends on your appetite for risk, available capital and investment philosophy. Therefore, I can’t give you any personal recommendations of stocks to buy for dividends. With that being said, I can still give you some general guidelines to follow when buying stocks for dividends. First of all, it is important to understand the correlation between dividends and a company’s profitability. If a company struggles to be profitable, it is not a good investment (for dividends). When looking for stocks to buy for dividends, it is, therefore best to look for consistently profitable companies that have more than enough cash reserves to pay out cash dividends. Highly speculative and volatile stocks usually aren’t the best choice for a dividend investor. Generally, when looking for stocks to buy for dividends, you should remember that you are investing for cash flow and not for growth. This means, your main focus should not lie on a rapidly increasing stock price, but rather on consistent (and ideally, increasing) dividend payments. Often stocks with slow and stable dividend yield growth rates can be better than stocks with the highest dividend yield in one year. Always remember that cash dividends are paid by a company’s profit. So if a company pays very high dividends, this might severely negatively impact the company’s future. Also, make sure to take your overall market assumption into account. For instance, if you are very bearish on the overall market, you should not be buying dividend stocks because they will very likely also be negatively affected if the overall market falls. Finally, make sure to enter at the right moment. With that I mean, before the ex-dividend date. Otherwise, you won’t receive the next dividends. Investing in stocks that pay dividends is a great way to invest for cash flow instead of investing for growth. This is a great standalone strategy, but can be even better if combined with growth investing as diversification. Receiving dividends allows you to profit from stocks even if the stock price does not rise. Nevertheless, you can still profit even more if the stock price increases. Therefore, dividend-paying stocks are often preferred as long-term investments over non-dividend paying stocks. To be able to take advantage of dividend-paying stocks, it is very important to understand how dividend stocks work. I really hope this article helped you understand exactly this and much more. If you enjoyed this article and learned something new, make sure to share it with a like-minded friend or relative. If you have trouble understanding anything in this article or have something else to say, make sure to let me know in the comment section below. Thanks for reading! Previous Previous post: Why You Should Always Scale in to Trades! An excellent information and educative write-up on dividend stock. I have always had problem understanding the concept of dividend stock and how it works but going through your post have left me nothing but the full understanding. This is a well detailed work. Thanks for this great explanation, more grease to your elbow. Thank you for the positive feedback. I am very pleased to hear that you enjoyed this article on how dividends work. This was a very thorough and well written post on how dividend stocks work.There is one thing I wonder though. Where would be the best way to start? Imagine that I for example would like to buy some stocks that pays dividends. Where should I look? What would be the best way to figure which ones are likely to be profitable and also to figure how high the risk involved would be.So my bottom line is. What do you reccommend for someone who would like to start investing in dividend stocks? To determine a company’s future profitability, you could, for instance, perform some fundamental analysis. This means you would look at the company’s financial statements of the past few years. This could give you insight into some trends of the business’ performance. Furthermore, you could analyze the stock’s past behavior. For example, you could look at its volatility, max drawdown, returns etc. But all this really depends on your investment style and personal preferences. I hope this gives you an idea about how you could analyze the suitability of a stock as a dividend investment. Hi Louis! I have wanted to invest for cash flow but I had no idea where to start. I’m so glad I found your site. You have given a very comprehensive description of how dividends stock work. Your post is very easy to understand. I appreciate the effort you put into this post, to make this information understandable for all of us. After reading your post I’ll pay attention to these 4 dates and especially to ex-dividend date. I’ll also be on the watch out for companies with consistent dividend payments. I’ll definitely check your free option education training too. Thank you very much! Is there a platform you could recommend where I can put my feet in the water concerning buying company shares? The broker that I use for all my trading and recommend is tastyworks. If you want to learn more about them, make sure to check out my review of tastyworks.